Here is an EXCLUSIVE OFFER for all to avail more than 50% discount on all product guides/handbooks. For those preparing for CCIE Security Version 4 LAB exam, CS-ACS5.X Guide will come handy. It covers detailed topics covering CCIE Sec v4 LAB as well as extending beyond & covering Active Directory Integration & Enhanced VPN Scenarios. FlexVPN is a way to combine multiple frameworks (crypto maps, ezvpn, DMVPN) into single, comprehensible set of CLI and bind it together with something offering more flexibility and means to extend functionality in future. In response to several queries about the Product – Cisco Secure ACS 5.X Product Deployment/Lab Guide , a product preview SAMPLE is now available on the website. This sample is a sub-set of the Original Detailed Product ( ~ 700+ pages ). In order to preview CS-ACS5.X Guide SAMPLE, click link below. This post will address process to install Latest Patches to your Cisco Secure ACS 5.X installation. Refer to ACS Release notes for information on new patches & bugs/issues fixed in current release.Before beginning, It is highly recommended that you you backup the Cisco Secure ACS 5.x configuration data in timely fashion in order to restore the same backup if ACS 5.x crashes, or, if you need to build a new system from scratch. Network Management > Security > Identity Management > Cisco Secure Access Control System > Cisco Secure Access Control System 5.3. Before applying cummulative patch on the ACS 5.x ,you will need to create a repository that will specify the protocol and the location where the patch file is located. Generally, in ACS5.3, you might run into issues with TFTP protocol. So,its recommended to use FTP instead for all backup & patch updates. Now, lets first create a Repository using FTP as the communication protocol. 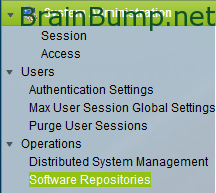 Navigate to System Administration > Operations > Software Repositories to create the specified Repository. In this blog post, i will cover in detail how you can setup QEMU settings under GNS3 to emulate ASA 8.4(2). It has been made possible by a user “dmz” from 7200emu.hacki forum. Credit goes to him . Basically we will be using a patch which will automatically extract the kernel and initrd of ASA version 8.4(2). You can use resulting ASA initrd & kernel on any OS where you have installed GNS3. DISCLAIMER: All information provided here are solely for self-education and investigation purposes. Provided AS-IS without any warranties. I’m using Ubuntu 10.04 (LTS) although you can use pretty much any Linux Distros available out there.